Because of the life and works of the Scotland’s National Bard, Robert Burns, Society members and guests will dress in their best Scottish wear for the annual Burns Night on Saturday, January 30, 2016, at the Oahu Country Club for cocktails, dinner, and a program both traditional and innovative. Please note the date, which has been changed from the date announced earlier. This year we look forward to hearing songs by Burns and others in a program called “Singing Burns.” Burns wrote lyrics to hundreds of tunes, thus saving them from oblivion. We are honored to have professional musicians Stephen Strugnell and Simon Crookall, who have sung throughout Scotland, to be our guiding singers. (See the introduction to our singers below.) 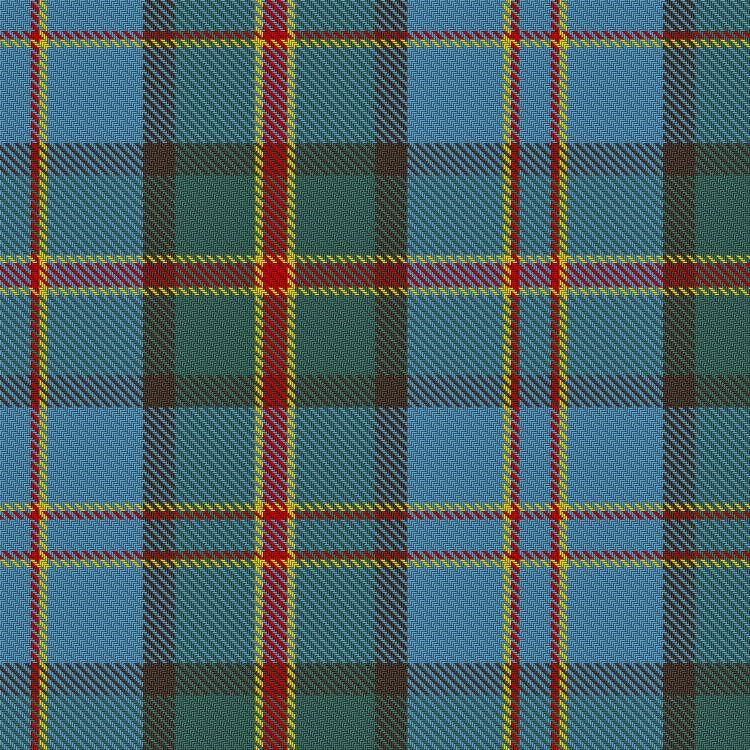 As usual we will welcome the pipe band from across the moors, watch the haggis ceremonially addressed and slashed open, toast the Lassies and the Laddies, and gratefully toast to The Immortal Memory of Robert Burns. Although the festivities are still several months away, reservations are being accepted now at Early Bird prices of $85 for members and $95 for non-members. After January 11, regular prices are $95 for members and $105 for non-members. Tables for 8 may be reserved for $680. Seating assignments are made in the order in which reservations are received. 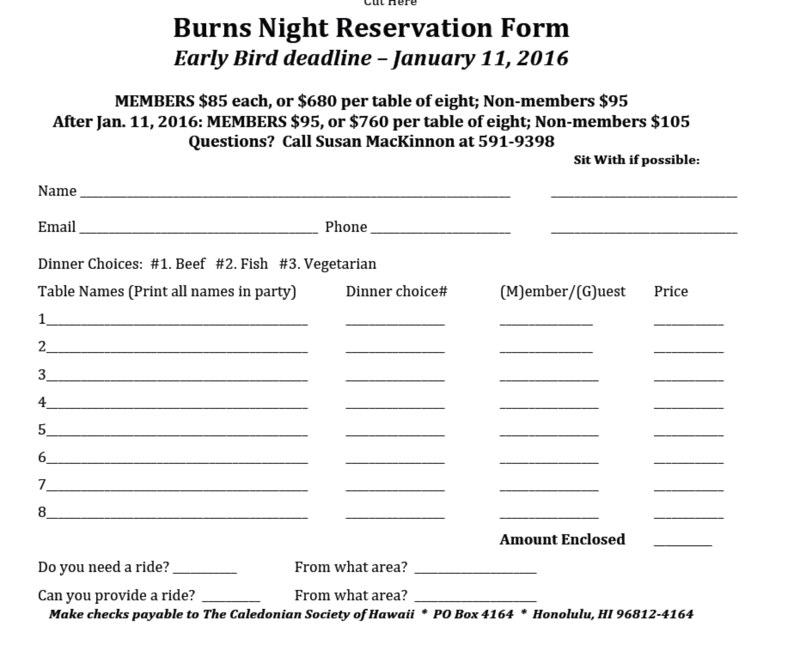 Wouldn’t a Burns reservation be a great Christmas gift for your friends and family? Copy and fill in the reservation form from this newsletter, mail it with your check at the Early Bird prices now, and check off at least one item on your holiday gift list. Simon Crookall was appointed Executive Director for Hawaii Opera Theatre in June 2013. Before moving to Hawaii, Simon was President and CEO of the Indianapolis Symphony Orchestra from 2005 to 2012. Originally from the UK, Simon worked in Scotland for over twenty years, as Chief Executive of the Royal Scottish National Orchestra, and previously General Manager of The Queen’s Hall in Edinburgh. Simon is a graduate in Economics from King’s College, Cambridge University, where he was a choral scholar in the world-famous King’s College Chapel Choir. Equally at home on the operatic stage as on the concert platform, Simon’s roles have included Ping (Turandot) and Dr Falke (Die Fledermaus) at Haddo House in Aberdeenshire, Scotland. In the field of oratorio he has sung works by Bach, Handel and Brahms with choral societies across Scotland. For many years he conducted the Paisley Chamber Choir and the Haddo House Choral Society, and sang at the launch of the Saltire Scottish Song Book. A graduate of Edinburgh University Music Faculty and an arts professional in Scotland for twenty years, Stephen Strugnell is now General Manager of Chamber Music Hawaii. For many years, Stephen was the pianist in the Laigh Trio, a piano trio who specialized in salon music and whose repertoire ranged from Bach to Broadway. In addition to performing across Scotland, the Trio also visited France, Spain, Scandinavia and Eastern Europe. Stephen has worked with many of Scotland’s leading musicians including Jimmy Shand’s fiddle player Ian Powrie, Gaelic singer Anne Lorne Gillies, and George Donald of ‘Scotland the What!’. On leaving university Stephen became the Marketing Manager for the Scottish Chamber Orchestra, and was later the Marketing Manager for the BBC Scottish Symphony Orchestra. For many years he was a freelance journalist for The Scotsman and The Glasgow Herald, as well as Administrator of the Georgian Concert Society, which specialized in the performance of Early Music, and of Westbourne Music, one of Scotland’s major promoters of chamber music.